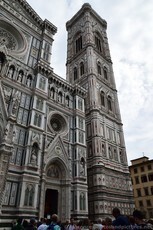 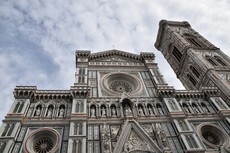 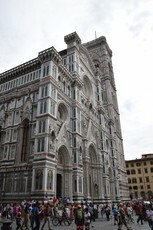 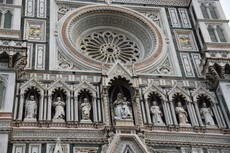 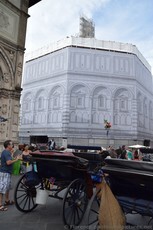 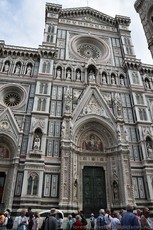 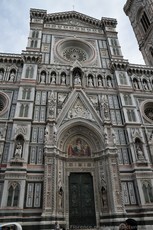 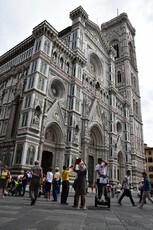 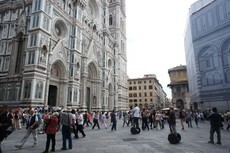 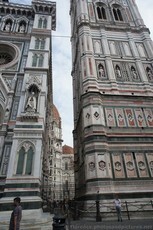 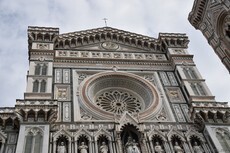 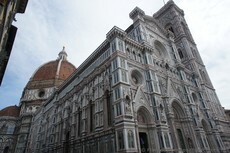 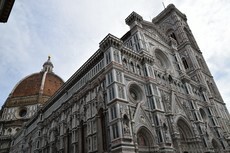 The Duomo was the most impressive structure we saw in Florence. 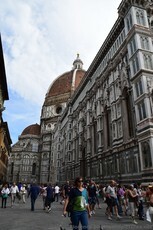 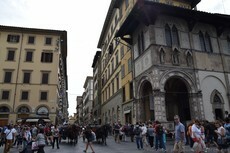 As one of the largest cathedrals in the world, its enormity cannot be truly appreciated until you get within a block of so to Piazza del Duomo. 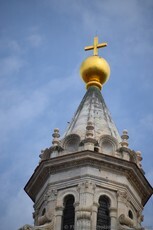 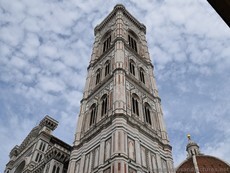 If you have time to climb Giotto's Tower, you'd be treated to a great panoramic view of the city. 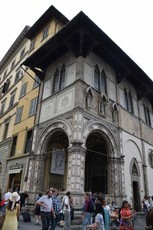 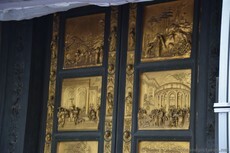 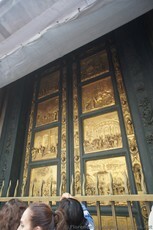 The Baptistery of St. John was under renovation, but we were able to photograph one of its famous Golden-bronze doors.